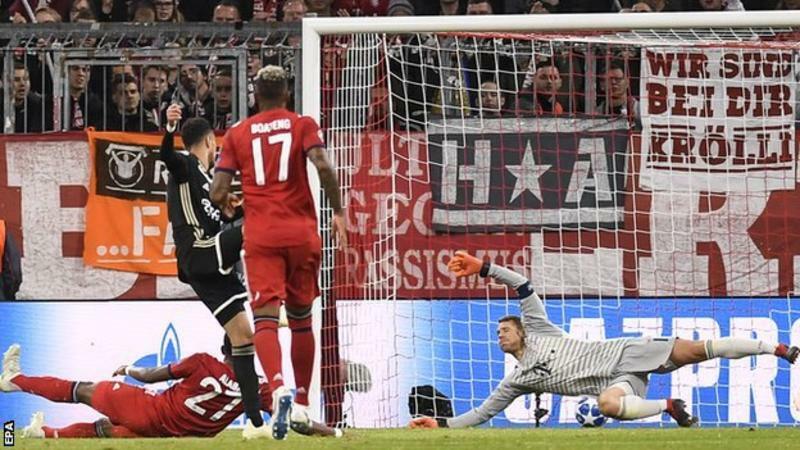 Ajax came from behind in the Champions League to earn a 1-1 draw at Bayern Munich. Bayern Munich’s poor domestic form followed them into the Champions League as they were held 1-1 at home to Ajax. The German giants came into the game on the back of a draw against Augsburg and 2-0 humbling at Hertha Berlin on Friday. Mats Hummels gave Bayern the lead in the 5th, But former Southampton star Dusan Tadic split the hosts’ defence with a quick pass into the path of Noussair Mazraoui, who beat Manuel Neuer when one-on-one. 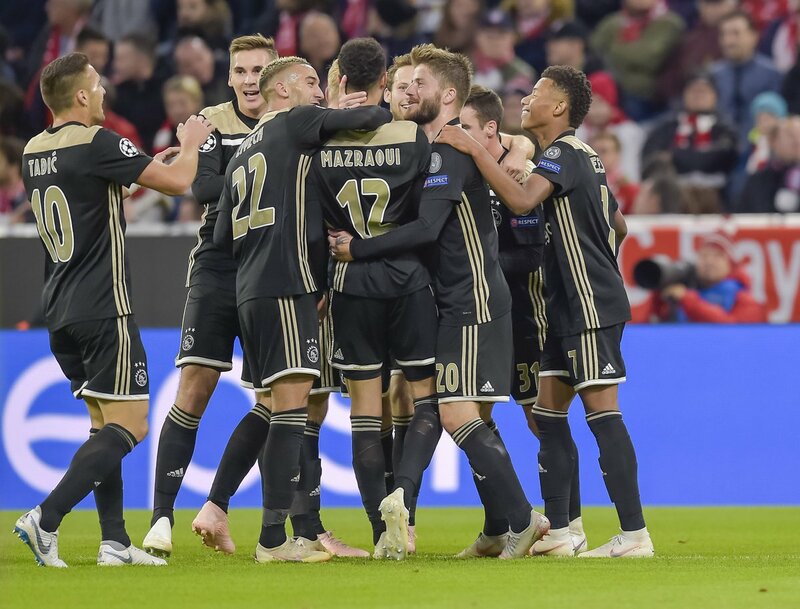 Ajax sit top of Champions League Group E on goal difference after holding Bayern to a draw at the Allianz Arena. 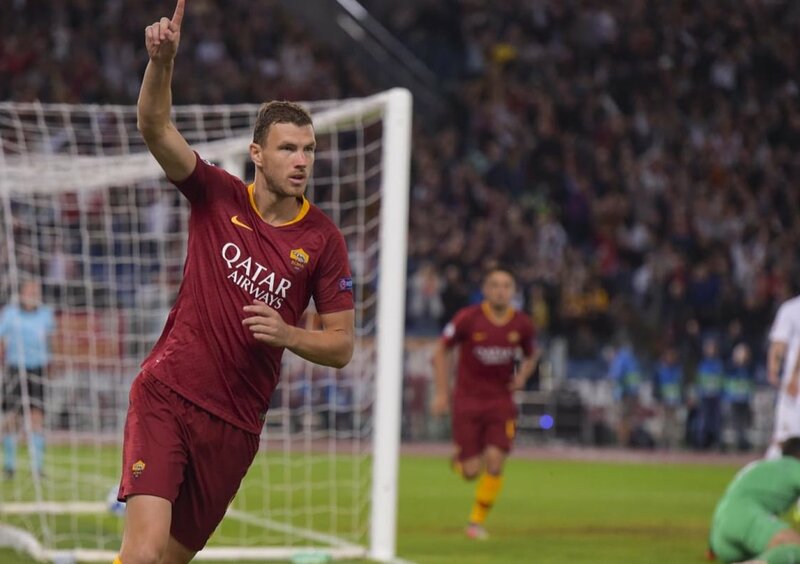 EDIN DZEKO scored a hat-trick to pick Roma off the bottom of Group G.
The striker’s first-half double was followed up by second-half goals from Cengiz Under and Justin Kluivert, the Dutchman’s first for Roma. LYON fought back from 2-0 down to maintain their place at the top of Group F.
Ribeiro Moraes Jr scored twice in the first half to shock the side which beat Manchester City last time out. But Moussa Dembele and Leo Dubois struck twice in three minutes to earn a draw for the French side. AEK ATHENS fought back from two goals down in vain as Benfica earned a stunning 3-2 win in Greece. Haris Seferovic and Alex Grimaldo both scored within 15 minutes to stun the hosts. Viktor Klonaridis drew AEK level with two second-half strikes. Nelson Semedo inflicted heartache on the Greek side with a long-ranged shot to take home the spoils.